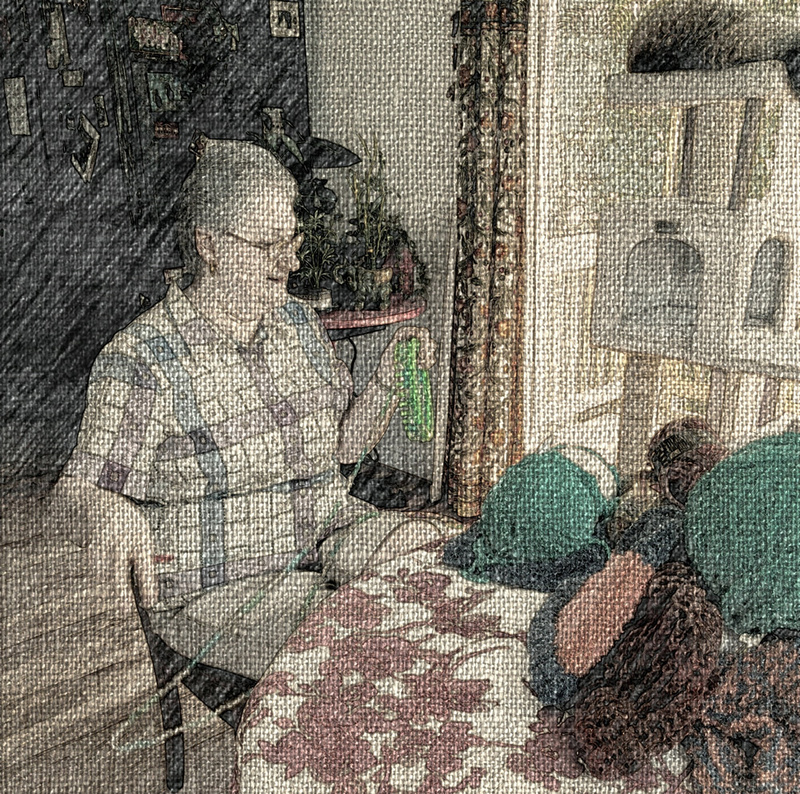 Nancy, a charter member of Knitting Together, is a self-taught knitter and long-time crafter. She knitted hats, scarves, ponchos, sweaters, gloves and slippers in high school and college in the 1960’s. She crocheted rugs and afghans with her mother Era Ayers Brooks and aunt Teen. She tatted quilts and weaved egg baskets with her mother on the family’s farm in Franklin County, Virginia. She has many fond memories of growing up in the country and developing skills using her hands. Using her craft skills over the years, Nancy has done counted cross stitch, macramé, and hooked rug wall hangings. Many counted cross stitch projects were done with a colleague and friend Carol. Nancy retired from the Charlottesville City Schools in October 2006 with more than 35 years of service at Johnson and Jackson-Via Elementary Schools. Since then, she has volunteered in JABA’s FISH (Friends In Schools Helping) program and worked part-time as a tutor at Jackson-Via School. She received President Obama’s Volunteer Service Award in 2013. In her “free time,” she knitted forty scarves and donated them to a church in Franklin County for distribution in Kentucky. Learning to knit on a loom in 2014, Nancy has knitted and donated more than 100 hats/caps to Knitting Together for distribution to students at Jackson-Via Elementary School and patients at the Emily Couric Cancer Center, University of Virginia Hospital.